Kris Jenner got emotional while discussing daughter Khloe Kardashian in a new interview. 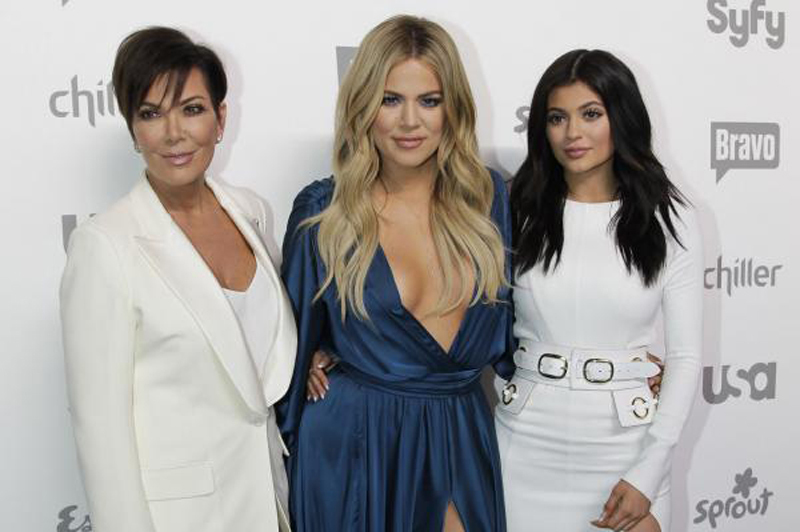 The 62-year-old television personality said on Friday's episode of The Ellen DeGeneres Show that Kardashian is concentrating on daughter True in the wake of boyfriend Tristan Thompson's cheating scandal. "Khloe is amazing," she told host Ellen DeGeneres. "I'm so proud of that kid. I get choked up because she's such a good mom. Honestly, it makes me get so emotional." Kardashian gave birth to True on April 12 following reports Thompson was unfaithful during her pregnancy. Jenner said the 33-year-old star is focused on True and not her relationship with Thompson. "She's just concentrating on that -- being a mom, her baby," Jenner said. "She's so excited about motherhood and trying to get the nursing thing down, which is a little tricky." "She's figuring it out one day at a time," she added. "She's just the best mom already and that baby is so cute, little True." Kardashian's sister Kim Kardashian called the situation with Thompson "messed up" during an appearance on the show Monday. "We really were rooting for Khloe and we still are," the mom-of-three said. "She's so strong and she's doing the best she can. It's a really sad situation all over." Khloe has yet to address the status of her relationship with Thompson. She voiced her excitement for her first Mother's Day as a mom in a post on her website this week. "This Mother's Day will be the most special yet!" she said. "I still can't believe I'm a mom -- it feels like such an honor. Now it feels even more important to honor all the amazing women in my family!"